The Chelsea feature for 2008 and named after Raymond Evison’s eldest daughter. 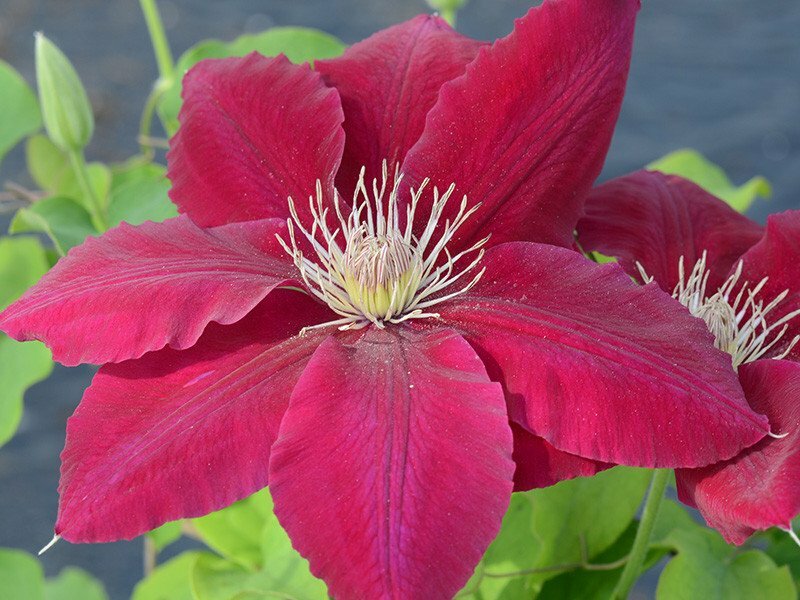 Clematis Rebecca has very large stunningly, bright red (almost scarlet) spring flowers, some 6-7 inches (15 -18cm) in diameter, offset by creamy/yellow anthers. It is exceptionally free-flowering and the plant is covered with nicely shaped full flowers with overlapping sepals. It has a good repeat flowering habit. This clematis is ideal for growing through other wall trained tree or shrubs. Due to its deep colour, it contrasts well with grey foliage shrubs.